Selling to customers throughout the UK and all over the world, Eton Watches’ prides itself on its quality and eclectic range of designs. 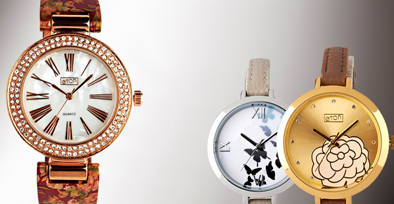 Eye-catching straps for a vibrant natural look and elegant dial designs. A must have accessory – check out the range. 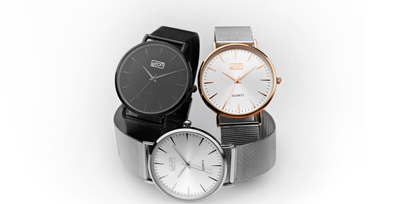 Designed for the fashion-conscious, Eton Watches’ newest range is easy to wear, striking in design and always on trend. “ As a gift company, we pride ourselves in providing customers with high quality, beautiful items and have come to rely on Eton Watches as a trusted supplier for more than 25 years. They provide good quality service and fashionable ranges. “ We have worked with Eton Watches for a number of years and enjoy interacting with their helpful team of staff. The watches come in lovely gift boxes and are of a high standard. “ I have been dealing with Sangat since the 80s when I was managing a shop in central London. Today, I am still buying from him and they supply watches for my chain of stores. Reliable and trustworthy. “ Excellent product at a realistic price. Fresh and diverse designs for clients looking for both classic and fashion watches plus excellent customer service. Our clients love these watches. “ Eton Watches offer fabulous designs at great value prices with an excellent customer service back up, the watches sell really well for us.